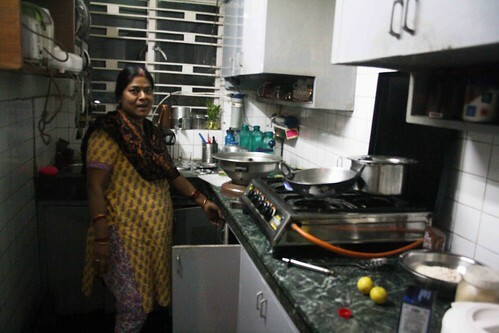 Meet the Julia Child of Mayur Vihar, Phase-I, a neighborhood near Akshardham Temple in east Delhi. A graduate in science from Bihar’s Ranchi Women’s College, Ms Child came to Delhi in 1982 following her marriage to Madhurendra Prasad Sinha, a journalist. 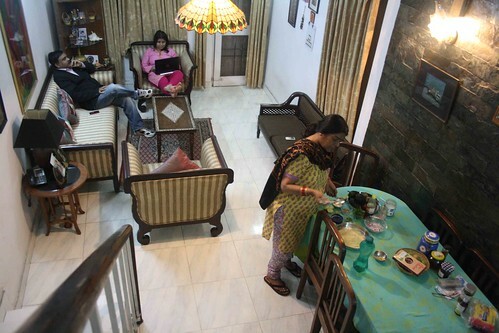 For three years, the couple lived in a one-room apartment in Malviya Nagar, south Delhi. It was through her husband’s books that Ms Child was introduced to Russian authors such as Fyodor Dostoyevsky and Maxim Gorky. After the family increased and she moved across the Yamuna to a duplex apartment, her present house, Ms Child discovered children’s writer Enid Blyton – in the bookshelf of her daughters, Nimisha and Namya. 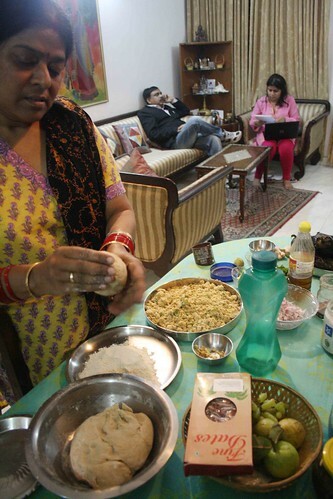 “My daughters are caring,” she told The Delhi Walla. “One morning my younger one spotted an injured hariyal (yellow-footed green pigeon) on the pavement. She immediately carried it to the bird’s hospital in Chandni Chowk.” Mother-like to Romeo, the family’s three-year-old golden retriever, Ms Child is currently reading Jane Austen’s Pride & Prejudice. 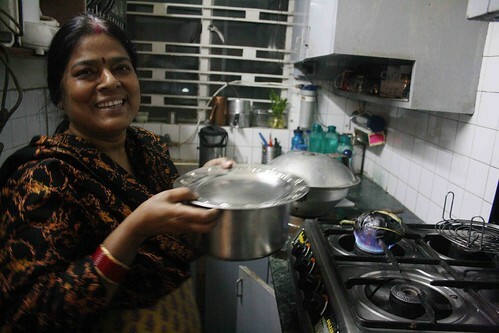 And yes, she cooks. 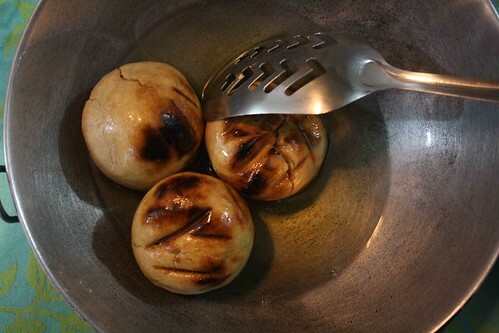 Here is the recipe of her ‘litti chokha’. Living away from Bihar for so many years, I rarely speak in Magahi, my region’s dialect. 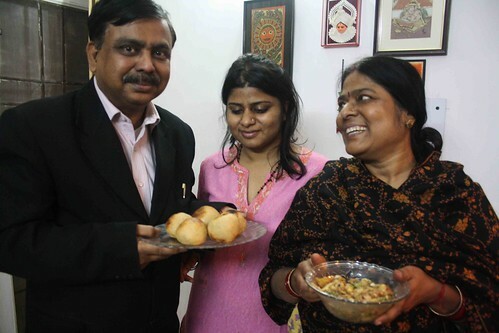 The daughters grew up in Delhi and they talk in Hindi and English. 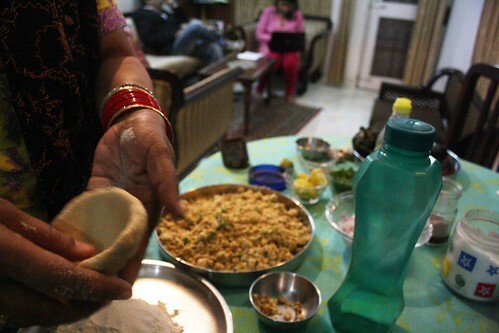 But the family remains wedded to its traditions – on the dining table. 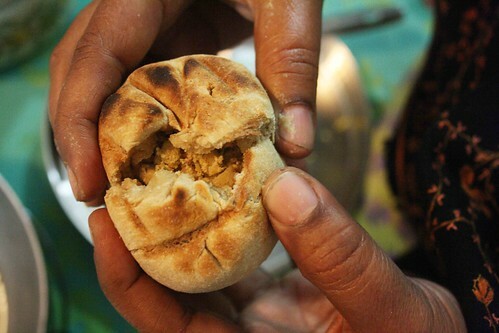 I make litti chokha at least once a month in summer and every week in winter. 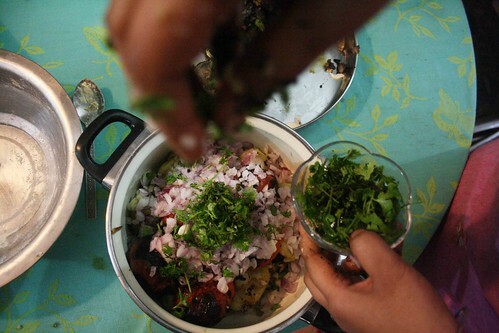 If Bihar were a country, this two-dish combination would be its national food. 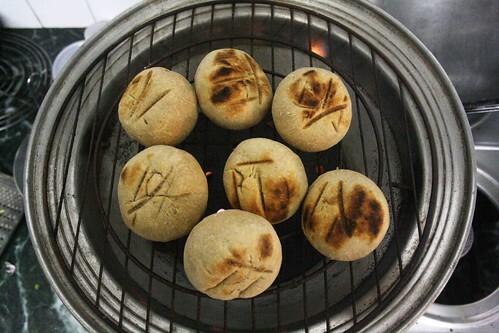 Originating as a cheap meal for travellers, it can be rustled up quickly. 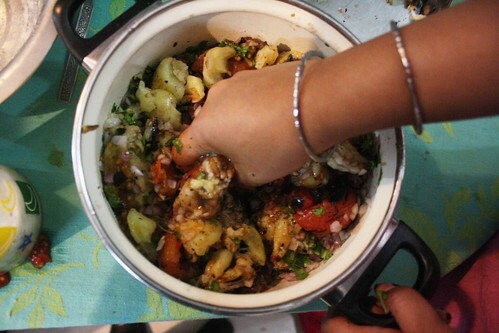 Cooking it is an excuse to connect to Bihar. 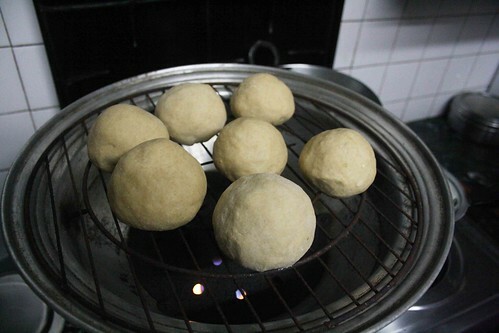 Boil potatoes. Roast them straight on the flame, one at a time. 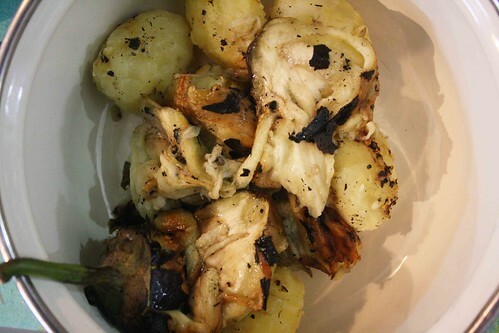 Remove the potato from the burner when its skin starts to turn black and crackle. 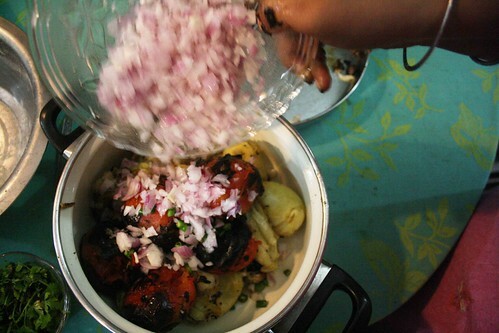 Repeat the process with aubergines and tomatoes, except you don’t have to boil them. 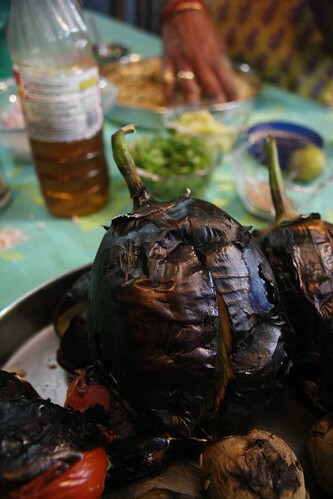 Just one twist before you roast aubergines: use knife to make half a dozen slits into each aubergine, and stuff the slits with garlic cloves. 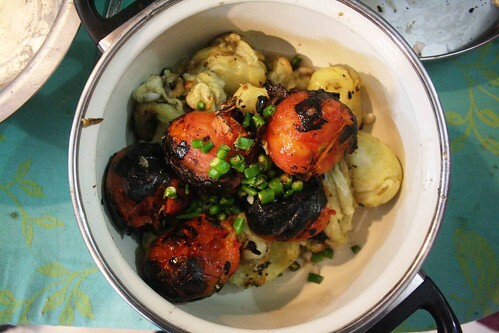 Once the roasted vegetables have cooled, peel off the skin and mash their flesh together. Use your hand. 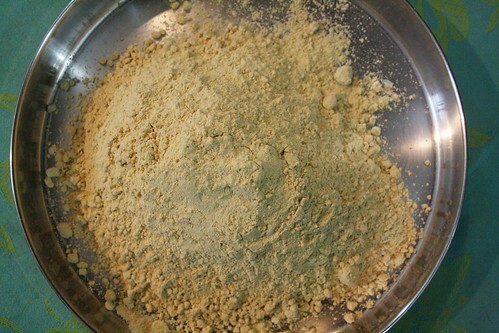 Add the rest of the ingredients, including oil. Mix well. 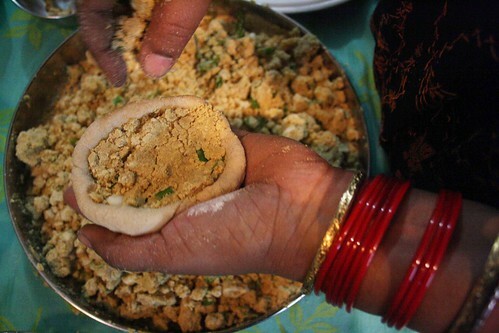 Serve with litti. 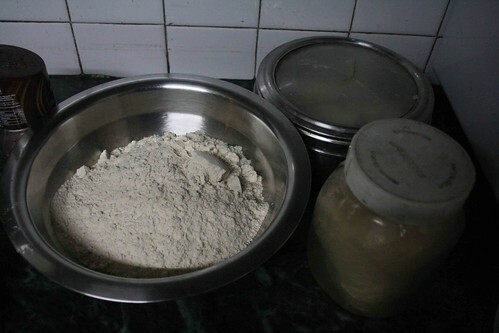 is it ok to substitute sattu flour with besan flour? thank you very much for letting me know! 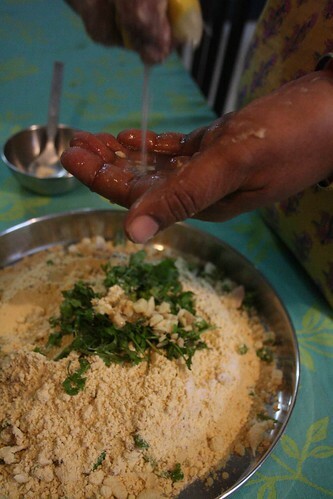 It is about time lesser known cuisines (such as Bihari) got their due.